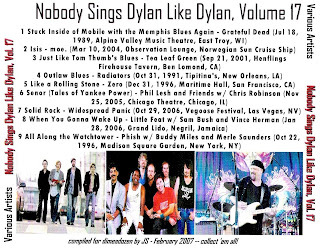 This thirty-one volume series features artists covering Bob Dylan songs. 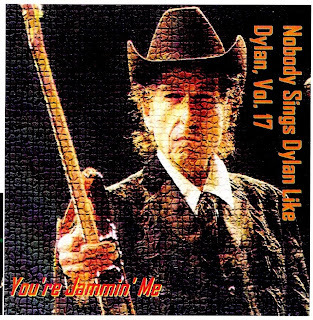 All of the tracks are recordings of independent origin (ROIO) and hence officially unreleased. 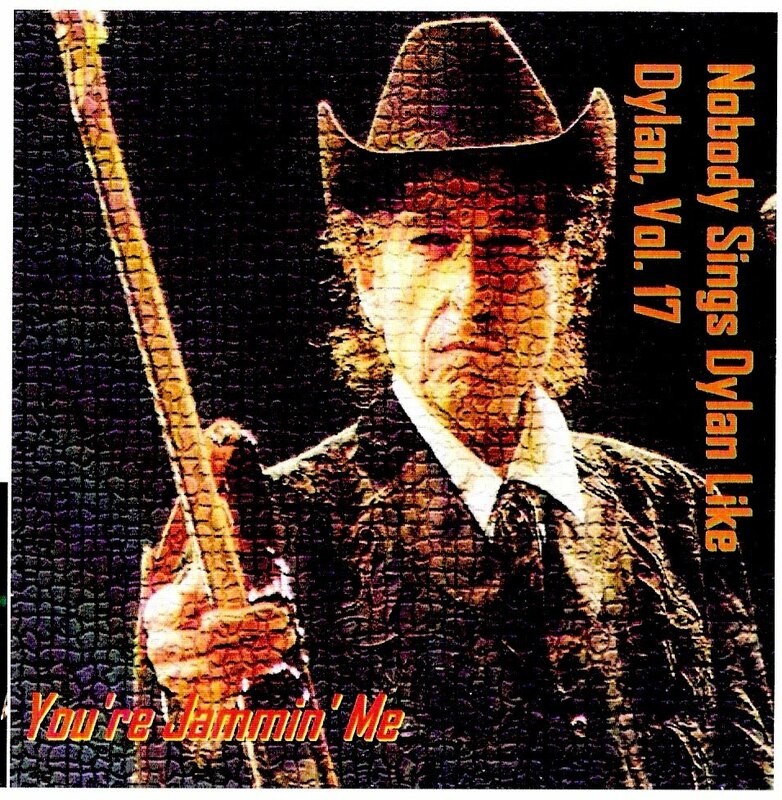 Nobody Sings Dylan Like Dylan Volume Seventeen link is in the comments! Speaking of comments, don't forget to leave some words about these volumes. Thanks to Jeffs98119 for compiling these and to obatik for the images. Jam or not, a series isn't complete unless you've got 'em all. 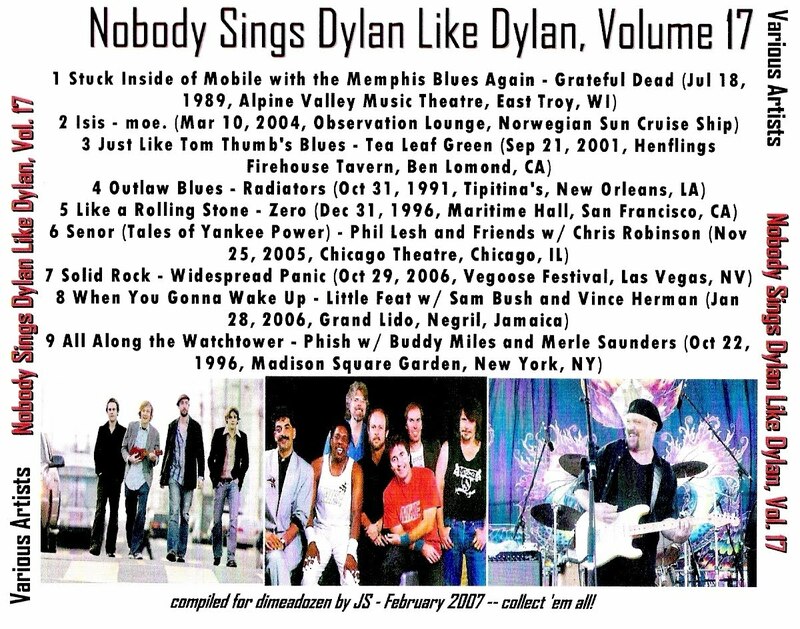 (I'm embarrassed to say I have only listened to a couple of tracks so far- since I just about ONLY play Dylan these days! Bloody hell, I turn my back for a minute & you sneak another volume out. "Heaven . . . I'm in heaven . . . "